Duo Ring Earring i gold/clear. 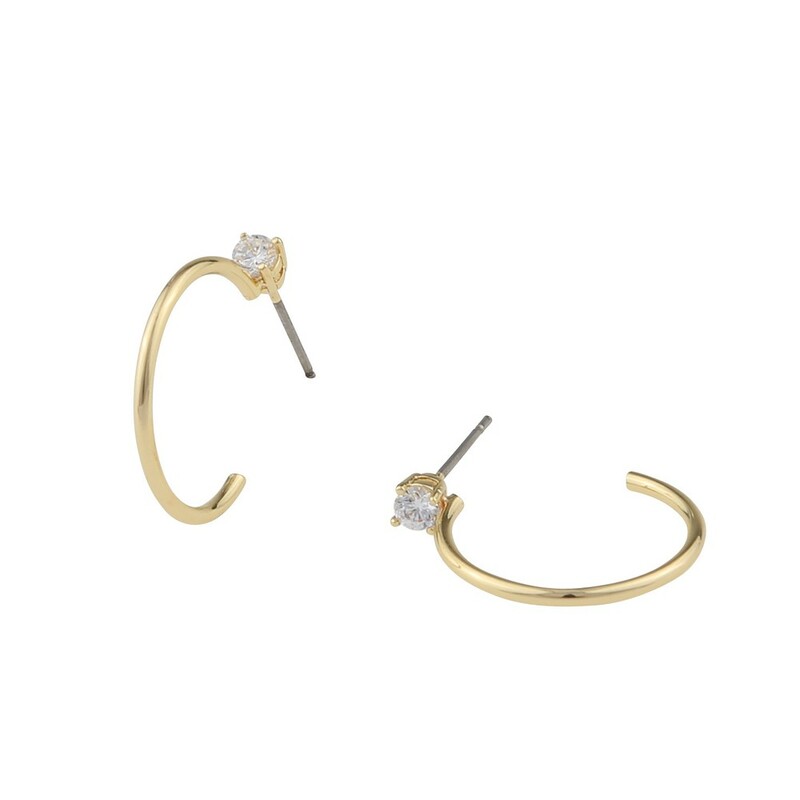 A classic hoop earring with an elegant twist by the sparkly rhinestone on top. Perfect to mix and match with other gold jewellery.